Central Council for Research in Unani Medicine, New Delhi - 110058, Delhi, India. ABSTRACT: About 5-10% of individuals with the condition of prediabetes or intermediate hyperglycemia develop diabetes annually. Prediabetes can revert to normal glycaemic state as well. Reversion to normal glucose, even when transient, is associated with a significant 56% reduced risk of future diabetes independent of previous treatment. Prediabetes is associated with many microvascular as well as macro-vascular complications. Micro-vascular complications include retinopathy, neuropathy, and micro-albuminuria while another complication like heart disease, stroke, and peripheral vascular diseases comes under the macrovascular category. These complications are directly proportional to the succession of hyperglycemia in prediabetes. Detection of the condition prediabetes / intermediate hyperglycemia is a fundamental strategy to keep people from transitioning to diabetes. Lifestyle modification is the mainstay for the management of intermediate hyperglycemia as per various research conducted on the same. The benefit of lifestyle modification with or without pharmacotherapy to prevent or delay the progression of diabetes in patients with prediabetes. When lifestyle modification is ineffective, pharmacologic treatment should be considered although there are no approved pharmacologic treatments for prediabetes. Several types of surgery are also available, and their efficacy has been discussed in the management of the condition. In this review paper, an attempt has been made to explore the approach to the patients of prediabetes and to evaluate the effectiveness of mode of treatment in the light of the findings of different research studies. INTRODUCTION: Intermediate hyperglycemia is state of hyperglycemia, with glycemic parameters above normal but below the diabetes threshold 1. It is a type of metabolic disorder with a slight increase in the blood glucose levels from the normal but not reaching up to the level of diabetes 2. It is estimated that worldwide 6.7% of the adult population, which is approximately equivalent to 318 million persons have intermediate hyperglycemia. It is estimated that by 2040 the number of persons with intermediate hyperglycemia will reach 482 million, which means about 7.8% of the adult population will get affected by this problem 4. It is estimated that around 70% of persons with these prediabetic states eventually develop diabetes. Individuals with both IFG and IGT have approximately double the rate of developing diabetes compared with those with just one of them. The natural history of intermediate hyperglycemia is variable, with 25% progressing to diabetes, 50% remaining in abnormal glycaemic states, and 25% revert to normoglycemia 5. About 5-10 % of individuals with intermediate hyperglycemia develop diabetes annually. Intermediate hyperglycemia can revert to normal glycaemic state as well. Reversion to normal glucose, even when transient, is associated with a significant 56% reduced risk of future diabetes independent of previous treatment 6. Detection of intermediate hyperglycemia is a fundamental strategy to keep people from transitioning to diabetes. The benefit of lifestyle modification with or without pharmacotherapy to prevent or delay the progression of diabetes in patients with intermediate hyperglycemia. A modest weight loss (5% to 10%) and moderate-intensity physical activity (30 min daily) is the mainstay of treatment for patients with intermediate hyperglycemia. When lifestyle modification is ineffective, pharmacologic treatment should be considered although there are no approved pharmacologic treatments for intermediate hyperglycemia 7. Diagnostic Criteria for Prediabetes: The Expert Committee and WHO defined two intermediate states of abnormal glucose regulation which are impaired fasting glucose (IFG) & impaired glucose tolerance (IGT) that exist between normal glucose homeostasis and diabetes. According to the American Diabetes Association’s (ADA) recommendations, the favored test for diagnosing prediabetes is fasting plasma glucose (FPG) because of its ease of use, tolerability to patients, and cost-effectiveness. Impaired fasting glucose (IFG) defined as fasting plasma glucose (FPG) of 6.1 - 6.9 mmol/L (110 to 125 mg/dL). Impaired glucose tolerance (IGT) set as 2 h plasma glucose of 7.8-11.0 mmol/L (140-200 mg/dL) after ingestion of 75 g of an oral glucose load. A combination of the two based on a 2 h oral glucose tolerance test (OGTT). (WHO, 2010). The Canadian Diabetes Association (CDA) defines IFG as a fasting glucose between 110 mg/dL (6.1 mmol/L) to 125 mg/dL (6.9 mmol/L) 7. As far as the instructions regarding the sample collection for determination of FPG are concerned, it should be assessed after an overnight fast (8 h minimum). Patients should not be active or have had caffeine or any other factor known to affect carbohydrate metabolism. On the other hand, for the assessment of IGT, 75 g oral glucose load is given in the morning after an appropriate overnight fast. Patients should be on an adequate carbohydrate intake before the test, should not be physically active during the test, and must not smoke. For purposes of diagnosing IGT, a single sample drawn after a 2 h glucose load is sufficient. The benefit to be gained by a 2 h glucose tolerance test was considerable in the EuroHeart survey 14. Extreme thirst, nausea, and tiredness. There are symptoms of weakness and fatigue, similar to that of influenza. Alteration of a person's visual perception, making the vision blurred. Cuts or bruises take a longer time to heal, and there is low sensitivity in the limbs. A person may have high blood pressure, high cholesterol, heart disease, fatty liver. Prediabetic women also have symptoms similar to that of adults, except they experience others signs as well. A severe outbreak of acne. Excessive facial hair or unusual distribution of hair in the body. Delayed and irregular menstrual cycle 2. Approach to the Prediabetics: Published guidelines on the approach to the patient with prediabetes consist of a consensus statement from the ADA, the Indian Health Services guidelines for care of adults with prediabetes and/or metabolic syndrome. ADA recommends lifestyle modification with weight loss and moderate physical activity of about 30 min per day for the patients of prediabetes. Metformin is also advised for the patient; however, it is unclear correctly who should receive metformin as a first line agent for diabetes prevention. Selection criteria for metformin use include a family history of diabetes in first degree relatives, increased triglycerides, reduced HDL cholesterol concentrations, hypertension and HbA1c more than 6.0% 5. The Australian guidelines recommend lifestyle intervention as first-line therapy for a minimum of 6 months before consideration of pharmacotherapy 15. Published guidelines for the approach of the prediabetic patient as per the recommendation of various associations 16 are described in Table 2. 1. Non-pharmacological Interventions / Lifestyle Modifications: Lifestyle interventions play a central role in the prevention and delay of IFG / IGT in the development of type 2 diabetes and its associated complications. It mainly targets the two most important modifiable risk factors responsible for the development of diabetes which is obesity and physical inactivity. The various study showed the beneficial effect of lifestyle interventions in the management of intermediate hyperglycemia. It has also been evaluated that lifestyle modification is effective to improve insulin sensitivity and β-cell function which plays a central role in the pathogenesis of intermediate hyperglycemia 15. Lifestyle interventions mainly include an increase in physical activity and dietary changes to reduce obesity. Hamman RF et al. suggested that the risk of development of diabetes in the future is reduced by 16% with every 1 kg decrease in weight 1. Strategies of weight loss that are comprehensive of exercise mobilize fat from the visceral depot. It induced more favorable metabolic results than fat mobilized from subcutaneous depot 16. In DPP trial 58% of diabetes incidence get reduced with lifestyle intervention over the 2.8 year follow-up period when compared with placebo. While in a comparative study with metformin therapy, incidence of diabetes reduced by 31% during the same follow-up period 1, 7. Modification in lifestyle may serve as the keystone of treatment focus on diet, 7% of weight loss and 150 min per week of moderate physical activity. Risk of developing diabetes is reduced by 90% in the person who lost weight and who meet physical exercise/dietary targets. These results are consistent with the Finnish diabetes prevention study in which participants met four or five of their goals. In a study with IFG, it has been reported that fast weight loss is more effective in reducing the conversion of type 2 diabetes from IFG as compared to less intensive intervention 18. It has also been noted that sustained loss of 5-10% body weight in obese and overweight patients proven to be effective in preventing the progression of type 2 diabetes from intermediate hyperglycemia 2. In a randomized controlled trial of 577 subjects with IGT with three active treatment group (diet only, exercise only, or diet plus exercise), it was found that there is 31%, 46%, and 42% reduction in risk of developing diabetes in the diet, exercise, and diet-plus-exercise respectively 18. As far as physical activity is concerned, regular moderate-intensity physical activity for 30-60 min daily is recommended for at least 5 days in a week. A diet with low calorie increased fiber intake, and possible precincts in carbohydrate intake are advised. Lower sodium intake and avoidance of excess alcohol are advisable in case of positive high blood pressure. Lifestyle modification is recommended for all ages, but adjustments may be necessary from person to person according to individual basis 14. 2. Pharmacological Interventions: There are no specific pharmacological therapies that have been approved by the US Food and Drug Administration for the prevention of diabetes in adults, nor are there any approved pharmacologic options for use in children or adolescents. It is advised in patients who are at high risk due to high chance of progressive deterioration of glucose control. Also, in the patients who are unable or unwilling to engage in lifestyle modifications or those have an inadequate response to lifestyle change, pharmaco-therapy is advised. Lifestyle intervention is impractical and also not much satisfactory for improvement in insulin resistance. Furthermore, pharmacological agents are used as an alternating way for enhancing insulin impact and diminishing progression of IGT in type 2 diabetes 17. These pharmacological interventions include anti-hyperglycemic drugs, anti-obesity medication and others like renin-angiotensin blockade and statins, etc. Biguanides: In biguanides, metformin is the most effective and most recommended drug for the prevention and regression of Intermediate hyperglycemia in type 2 diabetes. It is the safest drug which has shown beneficial effects on body mass index (BMI) and lipid parameters. By inhibiting hepatic glucose production and improving insulin resistance, metformin reduces FPG and HbA1c. The ADA Consensus Conference recommended that high-risk individuals (HbA1c-6.0%, BMI-30 kg/m2, age-60 year) with IGT or IFG be treated with metformin 6, 12. Various clinical trials have regularly proved the role of metformin in preventing type 2 diabetes, although efficacy may vary according to dose, association with varying degree of lifestyle modification and particularly body weight 19. DPP discussed that metformin in dose of 850 mg twice a day decreased the incidence of type 2 diabetes by 31% when compared with placebo control. It has been reported that metformin in a lower dose of 250 mg twice a day reduced the incidence of type 2 diabetes by 26% 20. Thiazolidinediones: It has been suggested from several experimental and clinical evidence that thiazolidinediones improve insulin sensitivity, restore pancreatic β-cell function, promote fat removal from the liver, and attenuate inflammation. In a randomized placebo-controlled study of 602 patients with IGT, it was observed that subjects who were receiving pioglitazone (in a dose of 45 mg/day) risk of conversion of IGT to Type 2 diabetes are reduced by 72% after follow up of 3.75 years. It has also been noticed that pioglitazone reduced the risk of diabetes in obese peoples by 70%. It improved diastolic blood pressure and HDL cholesterol and also reduced the rate of carotid intima-media thickening. The DREAM trial (Diabetes Reduction Assessment with Ramipril and Rosiglitazone Medication) also demonstrated that rosiglitazone, a thiazolidinedione is highly effective in reducing the incidence of type 2 diabetes by 60%, when compared with placebo in a controlled trial of 5,269 patients of Intermediate hyperglycemia 6, 21, 22. Though considerably effective, these drugs are associated with various side effects as noticed in the above clinical trials. It has been observed that there is greater incidence of edema, weight gain and congestive heart failure with the use of pioglitazone. Also, comparatively more trauma-related fractures are found in postmenopausal women who were treated with pioglitazone. Rosiglitazone is also found associated with a significant increase in weight (approx 2 kg). So, all these drugs are needed to be used with great caution to avoid their side effects 23.
α-glucosidase Inhibitors: These drugs are known to decrease the rate of digestion of polysaccharide from the proximal intestine and reduce primarily postprandial glucose without causing hypo-glycemia. These drugs are proved useful in the prevention of diabetes and importantly showed evidence of decreased CVD and hypertension among treated patients of IGT. In a multi-center among randomized placebo-controlled trial of patients of IGT treating with acarbose (100 mg t.i.d), it was evaluated that there is 25% relative risk reduction of diabetes after follow up of 3.3 years. But these drugs are also reported to have side effects like flatulence and diarrhea 24, 25. GLP-1 Analogs: In obese individuals, the GLP-1 analogs like exenatide and liraglutide reduce weight and cause reversion to normoglycemia from intermediate hyperglycemia. In a trial of 564 obese non-diabetic individuals (31% among them were prediabetic), it was found that liraglutide decreased conversion of type 2 diabetes by 84-96% in a 20-week study. On the other hand, exenatide, another GLP-1 analog was found to improve β-cell function when continuously used for 3 years. An improvement even persists for one month after withdrawal of medication. GLP-1analogs improve β-cell function, promote weight loss, and reduce IGT conversion to type 2 diabetes also improve cardiovascular risk factors. But there is the side effect of GLP-1 analog like nausea, vomiting and in some cases, pancreatitis is also reported 6, 26. Anti-obesity Drugs: Anti-obesity drugs are also reported to reduce progression of IGT in type 2 diabetes. Orlistat, an anti-obesity drug is gastro-intestinal lipase are found associated with greater weight loss. Also, it was found that this drug reduces progression of intermediate hyperglycemia into diabetes by 7.6% when analyzed after 1.5 years of follow up in a placebo-controlled trial. In the randomized study of XENDOS trial, it was revealed that orlistat along with lifestyle changes leads to greater reduction in the incidence of type 2 diabetes over 4 years and produced significant weight loss in obese patients 27. Fenofibrate, another anti-obesity drug is found useful in the regression of Intermediate hyperglycemia to normoglycaemic by 50% in 6 months trial of prediabetic patients 25. Renin-angiotensin-aldosterone System Blockers: Angiotensin-converting enzymes (ACE) inhibitors and angiotensin II antagonists are found to be insulin sensitizers in hypertensive patients with or without diabetes. Mechanism of improved insulin may be due to the improvement of blood flow and microcirculation in skeletal muscles. This leads to enhancement of insulin and glucose release to the insulin-sensitive tissues which smooth the progress of insulin signaling at the cellular level and improvement of insulin secretion 28. 3. Surgical Intervention: Although, surgery is not able to “cure” type 2 diabetes, but there is marked improvement in HbA1c is noticed after surgery which is accompanied by a decrease in a number of medications and insulin doses. This benefit is likely to extend to individuals with Intermediate hyperglycemia. It has been suggested that bariatric surgery may reduce the progression of type 2 diabetes in obese as well as morbidly obese patients. In a meta-analysis of over 600 studies, it is reported that in patients following bariatric surgery there is the resolution of diabetes in 78% patients with correction in serum insulin, HbA1c and fasting blood glucose levels. Weight reduction occurs by bariatric surgery through restrictive or malabsorptive mechanisms 19. Another type of surgery is transoral gastroplasty (TOGA), which is less invasive and comparatively safe procedure than traditional bariatric surgery. TOGA is known to improve glucose disposal which leads to regression of diabetes to normal glucose tolerance or IGT and regression of IGT and IFG to normal glucose 23, 29. CONCLUSION: Due to the high prevalence rate, associated complications of prediabetes/ inter-mediate hyperglycemia, its management is a matter of concern for the public health care providers. In the light of results of various studies in the management of the condition intermediate hyper-glycemia, it has been revealed that non-pharmacological management plays major role in revert the prediabetic condition into normoglycemia. Lifestyle modification is the first and most efficient mode of management of the situation. Numerous groups of anti-diabetic drugs such as biguanides, thiazolidinediones, α-Glucosidase inhibitors, GLP-1 analogies and also non anti-diabetic drugs and therapies such as anti-obesity drugs, and bariatric surgery have been studied in the context of management for the prediabetic condition. Role of surgery although not found significant to cure or manage the diabetic or prediabetic stage, but some studies have been conducted to explore the efficacy of same in the management of the prediabetes. ACKNOWLEDGEMENT: Authors are thankful to Prof. Sunil Kohli, Department of Medicine, Hamdard Institute of Medical Science and Research, Jamia Hamdard for his valuable suggestion in writing this paper. Bansal N: Prediabetes diagnosis and treatment: A review. World Journal of Diabetes 2015; 6(2): 296-303. Sushma N and Raju AB: Pre-diabetes: A review. 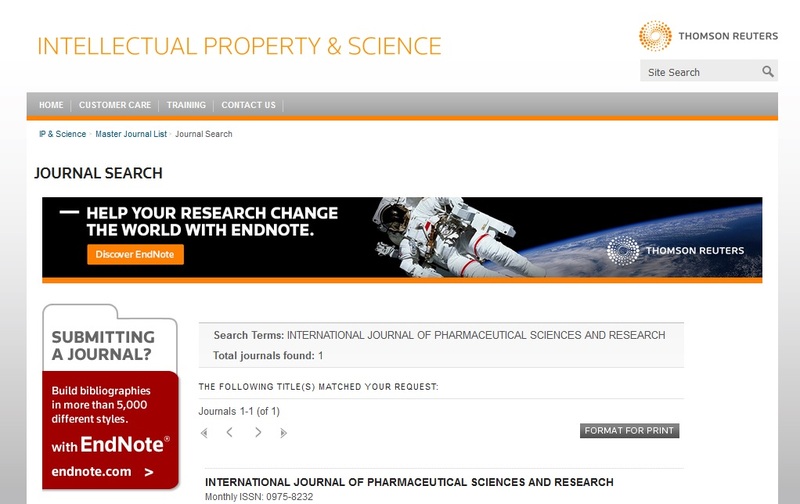 International Journal of Biomedical Research 2011; 2(3): 161-170. Deepa M, Grace M, Binukumar B, Pradeepa R, Roopa S and Khan HM: High burden of prediabetes and diabetes in three large cities in South Asia: The Center for Cardio-metabolic Risk Reduction in South Asia (CARRS) Study. Diabetes Res Clin Pract 2015; 2: 172-182. Anjana RM, Pradeep R, Deepa M, Datta M, Sudha V and Unnikrishnan R: Prevalence of diabetes and prediabetes (impaired fasting glucose and impaired glucose tolerance) in urban and rural India: phase I results of the Indian Council of Medical Research- India Diabetes (ICMR-INDIAB) study. Diabetologia 2011; 54(12): 3022-7. Nathan DM, Davidson MB, DeFronzo RA, Heine RJ, Henry RR and Pratley R: Impaired fasting glucose and impaired glucose tolerance. Diabetes Care 2007; 30(3): 753-759. Bergman M: Pathophysiology of prediabetes and treatment implications for the prevention of type 2 diabetes mellitus. Endocrine 2013; 43: 504-514. Pharmacist’s Letter: Diagnosis and treatment of pre-diabetes. Pharmacist’s Letter / Prescriber’s Letter 2008; 24(9): 1-5. Shaw J: Diagnosis of Prediabetes. Med Clin N Am 2011; 95: 341-352. Kim YA, Ku EJ, Khang AR, Hong ES, Kim KM and Moon JH: Role of various indices derived from an oral glucose tolerance test in the prediction of conversion from prediabetes to type 2 diabetes. Diabetes Research and Clinical Practice 2014; (106)2: 351-359. Laiteerapong N: Screening for prediabetes and type 2 diabetes mellitus. JAMA Clinical Guidelines Synopsis 2016; 315(7): 1-6. Anonymous ADA: Classification and diagnosis of Diabetes. 2015: 58-59. Kasper DL, Fauci AS, Hauser SL, Longo DL and Jameson JL: Harrison's Principle of Internal Medicine. McGraw Hill Education, New York, Editiom 19th, 2015: 2995-3000. Bonfante HLM, Avila MNdC, Marcon LM, Pedrosa CA, Soares HdOGP and Reis LMF: Prediabetes: Clinical relevance of an important risk marker. Brazilian Journal of Medical Science and Health 2015; 3(3): 1-6. Garber AJ, Handelsman Y, Einhorn D, Bergam DA, Bloomgareden ZT and Forenseca V: Diagnosis and management of prediabetes in the continuum of hyperglycemia- when do the risk of diabetes begins? Endocrine Practice 2008; 14: 933. Eldin WS, Emara M and Shoker A: Prediabetes: A must to recognise disease state. Int J Clin Pract 2008; 4(62): 642-648. Twigg SM, Kamp MC, Davis TM, Neylon EK and Flack JR: Prediabetes: a position statement from the Australian Diabetes Society and Australian Diabetes Educators Association. Med J Aust 2007; 186(9): 461-5. Pour OR and Jack SD: Prediabetes as a therapeutic target. Clinical Chemistry 2011; 57(2): 2015-2020. Perreault L, Kahn SE, Christophi CA, Knowler WC, F.Hamman R and Group DPPR: Regression from prediabetes to normal glucose regulation in the diabetes prevention program. Diabetes Care 2009; 9(32): 1583-1588. Kanat M, DeFronzo RA and Abdul-Ghani MA: Treatment of prediabetes. World Journal of Diabetes 2015; 6(12): 1207-1222. Li G, Zhang P, Wang J, Gregg E, Yang W and Gong Q: The long-term effect of lifestyle interventions to prevent diabetes in the China Da Qing diabetes prevention study: a 20-year follow-up study. Lancet 2008; 9626(371): 1783-9. Khavandi K, Amer H, Ibrahim B and Brownrigg J: Strategies for preventing type 2 diabetes: an update for clinicians. Ther Adv Chronic Dis 2013; 4(5): 242-261. Ramachandran A, Snehalatha C, Mary S, Mukesh B and Bhaskar A: The Indian Diabetes Prevention Programme shows that lifestyle modification and metformin prevent type 2 diabetes in Asian Indian subjects with impaired glucose tolerance (IDPP-1). Diabetologia 2006; 49(2): 289-97. Gerstein H, Yusuf S, Bosch J, Pogue J, Sheridan P and Dinccag N: Effect of rosiglitazone on the frequency of diabetes in patients with impaired glucose tolerance or impaired fasting glucose: a. Lancet 2006; 3689(9541): 1096-105. Ralph A D, Devjit T, Dawn CS, MaryAnn B, George AB and Thomas AB: Pioglitazone for diabetes prevention in impaired glucose tolerance. 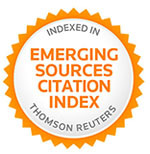 The New England Journal of Medicine 2011; 364(12): 1104-1115. Portero KC, McLellan, Wyne K, Villagomez ET and Hsueh WA: Therapeutic interventions to reduce the risk of progression from prediabetes to type 2 diabetes mellitus. Therapeutics and Clinical Risk Management 2014; 10: 173-188. Chiasson JL Jrgrhmkalm and Group SNTR: Acarbose for prevention of type 2 diabetes mellitus: the STOP-NIDDM randomized Lancet 2002; 359(9323): 2072-7. Tabák AG, Herder C, Rathmann W, Brunner JE and Kivimäki M: Prediabetes: A high-risk state for developing diabetes. Lancet 2012; 9833(379): 2279-2290. DeFronzo RA and Abdul-Ghani MA: J Clin Endocrinol Metab 2011; 96(8): 2354-2366. Torgerson J, Hauptman J, Boldrin M and Sjöström L: Xenical in the prevention of diabetes in obese subjects (XENDOS) study: a randomized study of orlistat as an adjunct to lifestyle changes for the prevention of type 2 diabetes in obese patients. Diabetes Care 2004; 27(1): 155-61. Parveen S and Khan AA: Prediabetes: Approach and management. Int J Pharm Sci & Res 2019; 10(4): 1588-94. doi: 10.13040/IJPSR. 0975-8232.10(4).1588-94. Authors Address: Central Council for Research in Unani Medicine, New Delhi, Delhi, India.